On the first day I got to do two quick interviews. the first one is with Jolene, whom I met last year at SXSW. She is promoting ways to use your phone as the reporter in the Meeting Maximizer. Jolene was showing off a new program called the Conference reporter. I also got to talk with Nadia – a reporter for Eyewitness news in South Africa. She also writes for other publications. 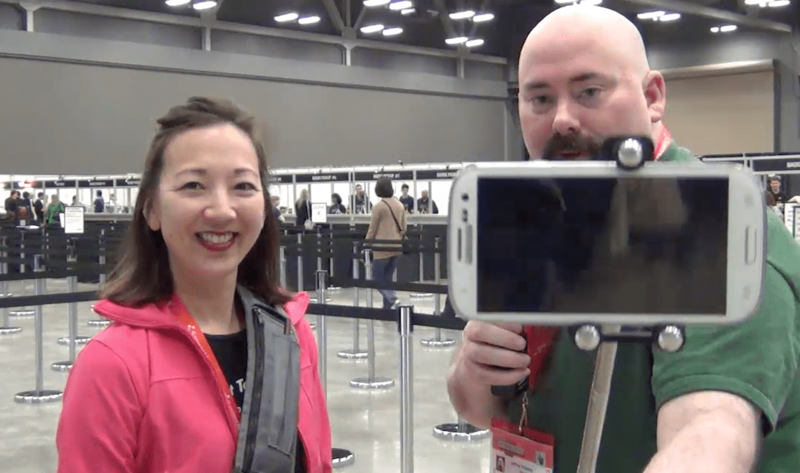 We got to talk about what to expect at SXSW for 2013.